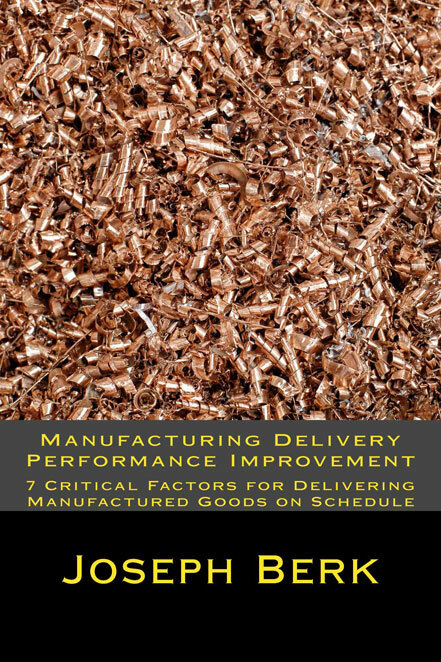 I’ve recently read a couple of great books that I think should be required reading for anyone working in the manufacturing or engineering world. 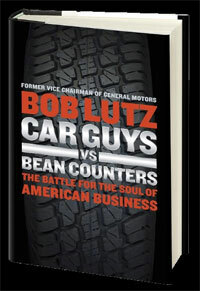 One of these is Car Guys versus Bean Counters by Bob Lutz, a book I featured a few weeks ago in the California Scooter blog (it’s a blog I write for CSC Motorcycles, one of my clients). With your permission, I’ll repeat part of that blog entry here. The other book is The Gun, by C.J. Chivers. I’ll get to that one a few paragraphs down. I bought the Lutz book a few months ago when I saw it in an airport while I was on my way to Thailand to present a Manufacturing Leadership course. Bob Lutz is a certifiable gearhead with the credentials and experience to back it up…he’s held very senior positions with Ford, BMW, Chrysler, and General Motors. The book is mostly about GM, a company that rehired Lutz to help the company find its way again…which is another way of saying that Lutz’s new job was to conceive, develop, and make GM cars people would want. A bit of history on this first…in the 1950s and 1960s, GM was ahead of the world in producing exciting cars. Think 1955 Chevys, the Pontiac GTO, the Corvette, the Olds Toronado and Cadillac El Dorado, the 1959 Coupe de Ville, the SS 396 Chevelle, the El Camino, the Camaro, the Buick Riviera, and, well, you get the idea. It was the golden age for American automobiles and GM was at the top of the heap. Then the company lost its way, and the cars GM cranked out in the mid-70s and beyond were just awful. Lutz explains that the reason GM fell from glory was not just the financial folks (the “bean counters” of the book’s title), but its pre-occupation with committee-based design efforts that bred a culture of mediocrity. He makes a strong case for strong-willed leaders who design cars based on their instincts and a connection with the product, not what cost reduction, producibility, and all of the other “ilities” committees will approve. The good news is that GM is on the way back, and I think you can see that in their new cars. I especially like what’s being offered by Cadillac and Chevy. I drive a Z-06 and in my opinion there’s nothing more exciting. It’s American made and it has the right style and sound. 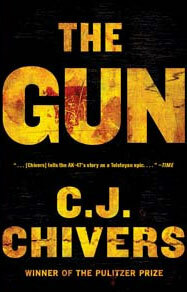 The next book that I have even stronger feelings about is The Gun, by C.J. Chivers. I was surprised that I hadn’t heard of this book before when I read a review in the New York Times. The New York Times is about as left-leaning a rag as ever existed and it had high praise for The Gun. I reasoned that if the leftist Bloomberg lackies liked it, there had to be something there, so I went to Amazon and bought a copy. The Times was right, but for the wrong reasons. My impression is that the Times guys did little more than read the press release for The Gun, as all they really mentioned in their review was that the book told the story of the AK-47’s proliferation after the Soviet empire disintegrated. The AK-47, of course, is the Kalashnikov-designed assault rifle that has become an iconic communist/terrorist/insurgency weapon. The Gun makes the point that after the Soviet empire fell all eyes were on securing the Soviet nuclear arsenal, yet no Soviet nuclear weapon had ever killed anyone. AK-47 rifles, however, were all over the world, and they had killed many people. The production quantities were such that the Soviets could have issued 700 AK-47s to each of their soldiers. They didn’t do that for obvious reasons…instead, the rifles proliferated and wound up in the hands of terrorists and other low-lifes all over the world. While the above is interesting, it’s not what The Gun is all about. The book should perhaps have been titled The Guns, because what it focuses on are the differences between the AK-47 and the US weapon designed in response to it…the M-16. That, folks, is a fascinating story, and Chivers’ telling of it is masterful. The producibility, reliability, and engineering tradeoffs made by Colt and Kalashnikov for each of these weapons are fascinating. Colt focused on accuracy and precision, which made the early M-16s unreliable and less battle-worthy. The AK-47 focused on reliability, low cost, easy producibility, and just enough accuracy to make the weapon deadly. In the early Vietnam War days, there’s no question that the AK-47 was a superior rifle. 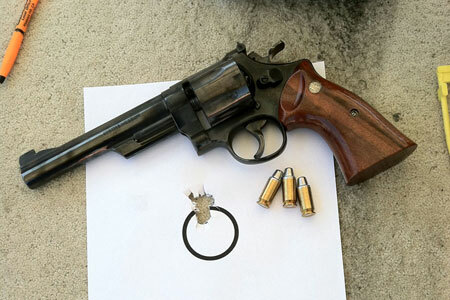 Chivers’ explanations and comparisons of these two rifles make for great reading, and we use The Gun in our failure analysis, cost reduction, manufacturing leadership, and engineering creativity courses for just that reason. In August 1990 the United States starting sending military forces to the Persian Gulf with the intent of expelling Saddam Hussein’s forces from Kuwait. We called the buildup Desert Shield, and when we actually went to war on 16 January 1991, the name transitioned to Desert Storm. When Desert Storm finally started, the engagement was decisive. In short order, Kuwait was free of Iraqi forces. It was the beginning of the end for Saddam Hussein. Desert Shield (the buildup) lasted a good 6 months. The question in those days was: Why the delay? We had our forces and those of allied nations in place relatively quickly. Why did 6 months elapse before we crossed the border into Kuwait to expel Saddam? The true reasons for the lengthy delay may never be known, but I can tell you that a key component of our smart munitions delivery capability was not ready in August 1990. You all remember the dramatic videos…munitions being dropped directly down chimneys, one-drop hits, etc. All that was made possible through laser-guided munitions (along with the bravery and skill of our fighting forces). One of the key laser targeting devices was the Mast Mounted Sight, shown in the photo above. It’s the thing that looks like a big basketball on top of the helicopter. The Mast Mounted Sight contained a laser target designator, an infrared sensor, and a television sensor. All were slaved to the pilot’s helmet. Wherever the pilot looked, that’s where all three beams were supposed to point. 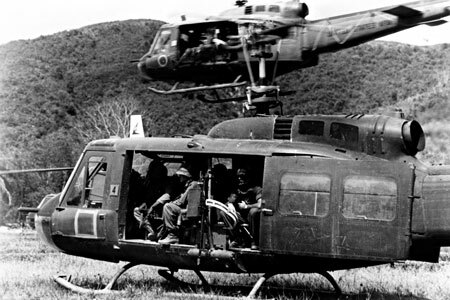 The Mast Mounted Sight had been in production and deployed on helicopters for years. Everyone thought everything was fine. When the Desert Shield buildup started, the Army tested its Mast Mounted Sight systems a bit more rigorously, and it discovered what it and the manufacturer thought was an alignment error in the laser, IR, and television lines of sight. This could have been disastrous. It meant that the pilot might launch a missile based on the television or the IR sensor being on target, but the laser beam would guide the munition to the wrong spot. 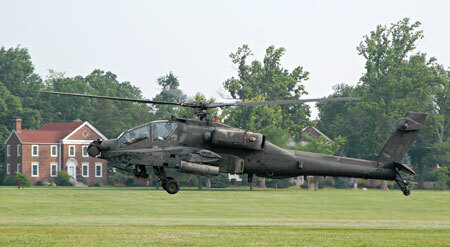 If a miss occurred, it would alert the bad guys, and they could return fire against the helicopter. 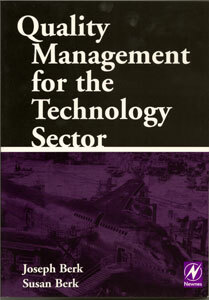 Mind you, this system had been in production and deployed in the field for years. The manufacturer went into high gear to find and fix the failure cause. The Mast Mounted Sight contains an internal alignment mechanism, which is supposed to align all three instruments (the laser, IR sensor, and the TV sensor). 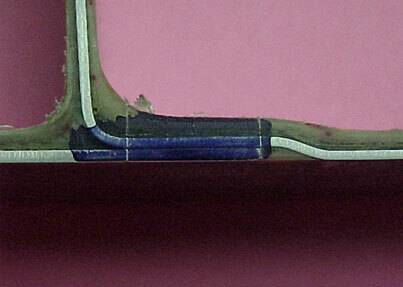 The manufacturer spent the next 6 months looking for a problem in the MMS alignment subassembly. They didn’t find anything. Ever hear the joke about the drunk looking for his car keys at night under a street light? It goes like this: I offered to help the drunk find his keys, and after we both searched for an hour, we came up empty-handed. “Then why are you looking here under the street light?” I asked incredulously. “Because I can see here,” he answered. Many times when we have a production shutdown, or even a low-level recurring failure, finding the root cause is elusive. Production shutdowns get a lot of attention. Recurring nonconformances frequently do not, but they can just as expensive (sometimes more so) than a line-stopping failure. So how do we go about finding the root cause of a failure? Where we usually go south when analyzing failures is with that first step: Defining the problem. Frequently, we start jumping to conclusions about potential causes without taking the time to fully understand the problem. The results are predictable: We spend lots of time chasing our tails, and the problem continues. Need proof? Try this exercise: Tell your staff that you walked into a room, flipped the light switch, and the light did not illuminate. Then ask them what the problem is. In most cases, folks will immediately start listing potential failure causes: A broken filament, breaks in the wiring, a defective switch, failure to flip the switch properly, etc. But those are all incorrect answers. The question should be: What is the problem? That should be our first step. 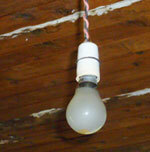 In this case, the problem is that the light bulb does not illuminate. All of the other suggestions listed above involved jumping to conclusions about potential causes. Let’s turn back to the Mast Mounted Sight. After several months of trying to find a failure cause in the MMS alignment mechanism, the failure analysis team finally decided to take a step back. They reviewed the test data again, and to their amazement, they found that the TV and the laser were aligned. Only the IR sensor was out of alignment. The failure analysis team had been solving the wrong problem. Once the problem came into focus, the team looked outside the alignment mechanism, and they found an IR window heater anomaly. The fix was a simple software patch. 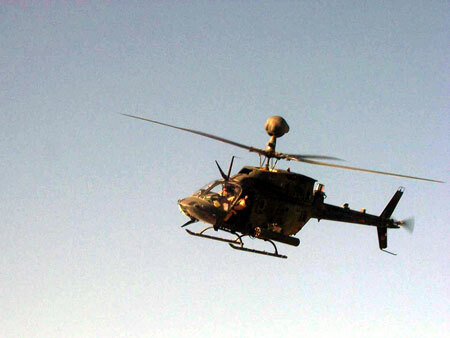 It was implemented on 15 January 1991, and US troops rolled across the Kuwait border on 16 January 1991. 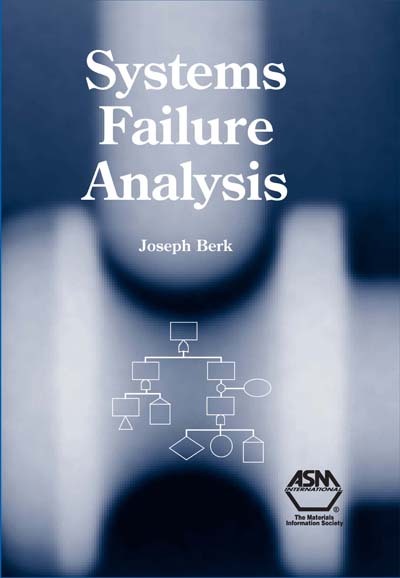 Would you like to know more about our fault-tree-based Root Cause Failure Analysis training program, or perhaps our book on Systems Failure Analysis? 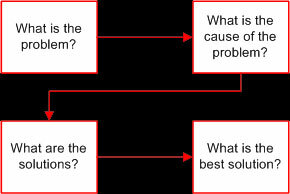 Check out our Root Cause Failure Analysis page, and give us a call at 909 204 9984 if you would like to know more! 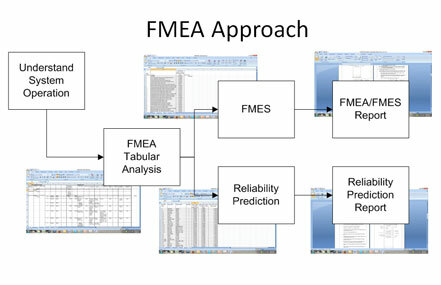 Many times companies use sampling techniques to assess a production lot’s acceptability. You know the drill…you pull a specified sample size, and if all of the samples are acceptable you buy the lot. If any are unacceptable, you reject the lot. This approach often works for components, assuming the sample represents the rest of the lot. But what about larger subassemblies or complete systems? Does it work for them, too? 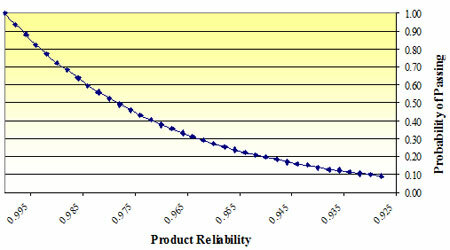 Here’s the basic question: Is your acceptance testing approach consistent with your product’s required reliability? This is an area where a lot of companies (and buying organizations) put themselves in a serious bind without realizing what they are doing. In the munitions game, for example, it’s pretty common to pull a specified sample and buy the lot if all of the samples go bang. The problem is that we think if a product’s reliability is high (say, 95%), we ought to be able to pull a sample and have them all work. That’s not the way it works in the real world, though. We can’t go with our intuition here; we have to evaluate the probability of passing the acceptance test more rigorously to assure that it is consistent with the required reliability of whatever it is we are testing. I first ran into this at Aerojet when we were building munition fuzes. 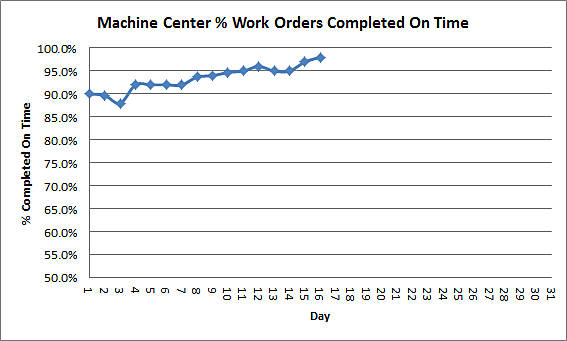 We were failing most of our lot acceptance tests, and we thought we had a pretty good product. The submunition had a 95% reliability requirement, and in live tests we showed we met that requirement. 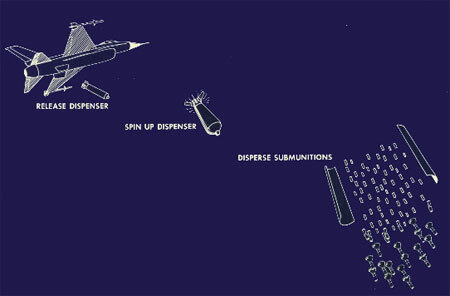 We routinely dropped bombs and had more than 95% of the submunitions detonate. We had a lot acceptance requirement on the fuzes, however, that required firing a sample of 32 with no failures. We were only passing about one lot out of every five. What was going on? 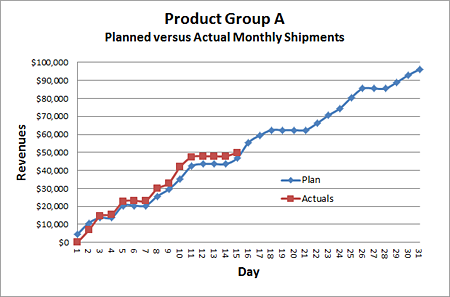 Check the above plot, and you’ll see that with a product reliability of 95%, you’ll only pass the acceptance test about 20% of the time (and that was exactly what we were experiencing). When we explained this to our Air Force customer, they didn’t like what they were hearing, but they recognized and agreed with the mathematics. 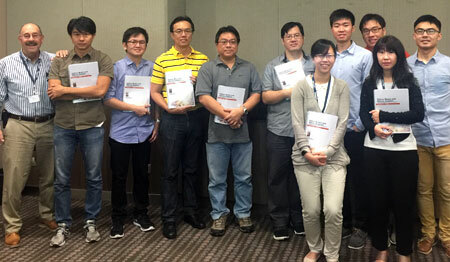 Ultimately, they modified the fuze acceptance test requirement so that it was consistent with the product’s required reliability. 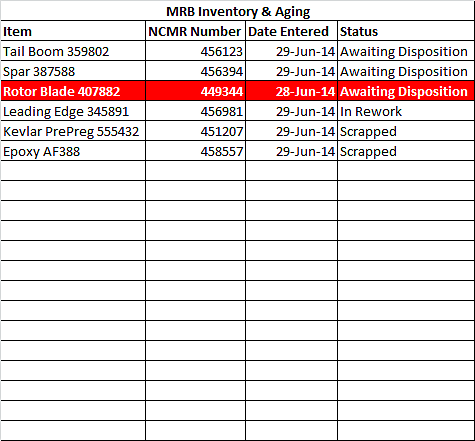 Don’t think that this allowed lower quality munitions to get into the inventory, either. That particular munition system routinely delivered reliability well in excess of its requirements, and during the 1991 Persian Gulf War, it was the munition that took out the bulk of Saddam Hussein’s Republican Guard tanks. Another manufacturer was not so lucky. They manufactured flares for the US Navy, and they encountered precisely the same problem with precisely the same numbers. The Navy’s reliability requirement was 95% (which the flare met), but they imposed that same lot acceptance requirement (a sample size of 32 flares, accept on 0 failures, reject on 1 or more failures). Predictably, the company failed 80% of their lot acceptance tests. Unfortunately, in this case, neither the Navy nor the manufacturer realized what was happening. I know about that second situation because I was an expert witness when the manufacturer sued the Navy. When I testified at the Armed Services Board of Contract Appeals, my task was to explain all of the above in a manner that lawyers and the trial judge could understand. In my experience, lawyers and judges don’t grasp probability and statistics concepts easily, so just stating that the situation was governed by the binomial distribution wasn’t going to cut it. I went shopping the night before I testified and bought two bags of coffee beans (one with white beans, and one with brown beans). I put 5 white beans in a bag (representing unreliable product), and 95 beans in the same bag (representing product that would work). I stuck the bag in my pocket the next morning and went to court. After explaining the binomial distribution, the nature of the relationship between a product’s reliability and the probability of passing a test, and the x-y plot you see above, I could see that the judge (who was a good guy) had glazed over. When I finished, I told the judge I could demonstrate the concept for him. I pulled the bag of coffee beans out of my pocket and explained the contents, and I offered to pull out 32 beans. The lights came on. The judge smiled. He told the Navy’s attorney to pull the beans out of the bag. The 17th bean was a white one, representing a flare that wouldn’t work (and a failed lot acceptance test). It was a cool display, it was a deciding factor in the manufacturer winning its $25.4 million claim against the Navy, and that little demonstration was cited as one of the best Armed Services Board of Contract Appeals explanations that year. So, think about this…when you specify (or agree to) a sample-based test, what’s the reliability of the thing you’re testing, and is it consistent with your test? If you are failing sample-based acceptance tests, you may simply have an overly-stringent acceptance test. These kinds of evaluations sound complicated, but Excel makes it a lot easier than it used to be. The operating characteristic curve is one of the key concepts we should always consider in such situations, and it’s a key part of the root cause failure analysis training we offer.